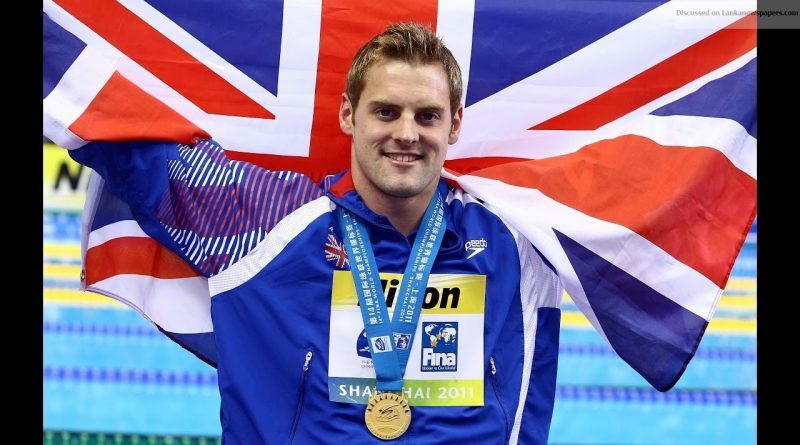 World 50-metre backstroke record holder (24.04 secs) and Olympian Liam Tancock will begin his four-day training session in Colombo today to help develop skills of the swimmers and coaches by sharing his passion and transferring his vast knowledge and experience. The sessions will be held at the Sugathadasa pool and the British School swimming pool in Colombo. Englishman Tancock who is the current holder of the 50-metre backstroke world record (24.04secs) will share his passion for the sports and transferring his vast knowledge and experience to help develop the skills of local swimmers and coaches. According to Tracy Francis, the Business Development Manager of Ceylon Tours, 40 young swimmers and 11 coaches will attend the sessions. “I will use my years of experience of competing at the highest level of the sport by sharing my passion in swimming, by transferring my knowledge,” he said at a press conference held in Colombo this week. He represented his country for 16 years and is regarded as one of the most decorated and experienced members of the British team. Soon after his retirement, he built a career in coaching and mentoring. He travels the world hosting and conducting swim clinics and master classes, educating and promoting key levels of swimming success. The workshop here will create a golden opportunity for budding swimmers to gain expert knowledge and technical input on a one-to-one basis from a world record holder. Tancock will analyse the swimmers’ stroke techniques and skills and advise them on how to improve to achieve faster times. The workshop is organised by Ceylon Tours, a travel company creating opportunities for future Sri Lankan athletes to dream big by hosting camps of this nature. It gives all Sri Lankan swimmers an equal opportunity to gain foreign coaching experience as well as education for local coaches to groom and prepare swimmers for domestic and international competition. “This whole concept of introducing an Elite Summer Swimming Camp to Sri Lanka, is to harvest and develop the sport to greater heights,” said Tracy Francis of Ceylon Tours—the brainchild of the project. “I believe that, Sri Lanka has the potential to be a “Sporting Hub in Asia “, if only there is good direction and leadership. I personally feel that, inviting internationally recognised sporting icons and coaches to conduct sporting clinics and coaching camps, will make Sri Lanka a better sporting nation”.